The term “Orthopaedics” signifies a medical specialty that focuses on the body’s musculoskeletal system. This includes bones, joints, muscles, ligaments, tendons, and nerves. It affects approximately three out of four adults during their lifetime. Many back-pain patients complain about symptoms like numbness and tingling sensations, stiffness, achiness, and weakness. It is known that obese people are more prone to spinal issues than those who’re not. Deleterious weight stresses almost every organ in the body, so it is no surprise that it also increases the risk of back pain, joint pain, and muscle strain. Every extra inch adds strain to the muscles and ligaments in the back since the spine tends to become tilted and stressed unevenly to an extent that the back may even lose proper support. Extra weight around the stomach pulls the pelvis forward which in turn strains the lower back thereby causing pain. The vertebral disc as well, of an obese individual, may get weak or damaged sooner. Excess weight is also known to worsen pre-existing spinal issues. 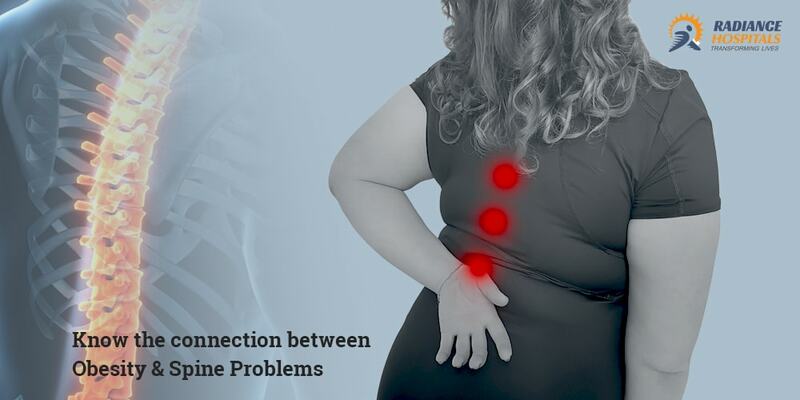 Due to Obesity, adipose tissue causes extra pressure on the lumbar spine and knee which exacerbates pain. Bariatric surgeries help weight loss thereby reducing pain intensity to as much as 75% to 80.8% as cited by an article of Bariatric times. The pain score carried out in the study when compared to preoperative baseline, indicated significant symptomatic pain resolution of the pain of head, neck, shoulder and lower back. Pain relief was observed in day to day physical activities during sports as well as work. Use of Analgesic significantly reduced. An increase in Quality of life within 6 months to 1 year post operation was observed. As per UCLA Health article, Retrospective studies showed that after performing Bariatric surgeries, the frequency of back pain decreased in up to 83% of the patients, and lumbar back pain symptoms were reduced in 82–90% patients in a period of 6 months to one year. Our bones attach to each other at a joint, where strong tissues called tendons and ligaments help connect the bones. It is common for such joints to experience stress as we age. But it is pertinent to note that weight too plays a role along with age. 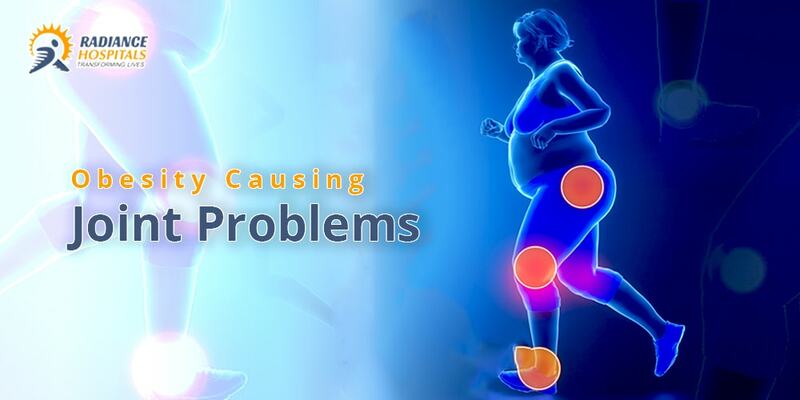 Every pound of excess weight exerts about 4 pounds of extra pressure on knees. This means that if a person is 100 pounds overweight then the knees undergo 400 pounds of excess pressure. “Fat” itself is such an active tissue that releases such chemicals which promote inflammation. Researchers have also found that hand osteoarthritis (OA) is more common amongst obese people. According to the Arthritis Foundation, the average onset of Rheumatoid arthritis (RA) is between the ages of 30 and 60, and children can also get it. RA is a chronic condition that progresses over time with periods of increased disease activity, called flares and periods of remission. In 1971, the number of cases of arthritis primarily caused by obesity was at 3 %. By 2002, that number had increased six-fold to 18 %. An obese has a 60 % greater risk of getting arthritis than people who maintain healthy body weight. A study examined the factors contributing to total knee and hip replacements in people between the ages of 18 – 50. A remarkable 72 % of those who underwent joint replacement surgery were obese. Bariatric or Metabolic surgery can prove to be very beneficial for joints too. 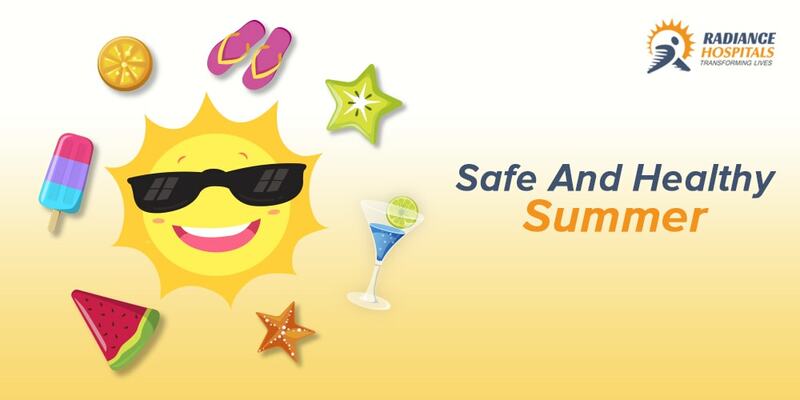 For 0.5 kgs lost, 2.5 kgs of pressure on joints are reduced. Other benefits are pain reduction, increased mobility, better outcome after a joint replacement surgery etc. Bariatric surgery can be considered the best way for a joint replacement. Sleeve Gastrectomy- Reduces the stomach to approximately 15 % of its original size. Gastric Bypass-The surgery changes the absorption rate of food, as well as decreasing the amount that can be ingested. Orthopaedic surgeons themselves are referring more patients for consideration of bariatric surgery in anticipation of future elective procedures. Many patients pursue bariatric surgery for improvement in their physical image and somatic health improvement. 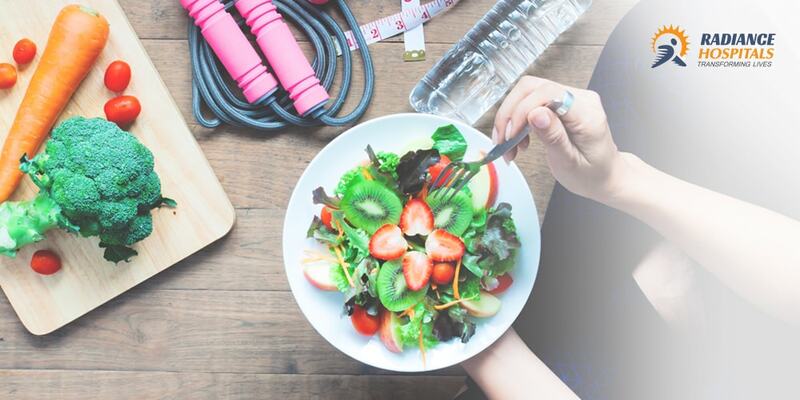 Health-related quality of life improves after bariatric surgery & long-term improvements are positively associated with the long-term amount of weight reduction leading to less joint problems. 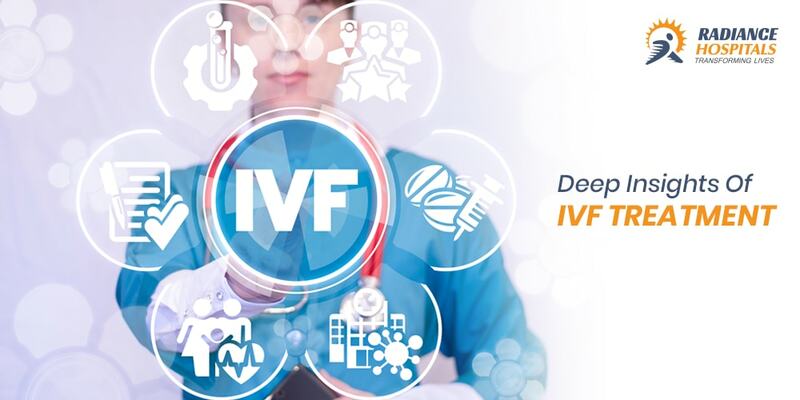 Infertility has become a bane of modern living and PCOS is one of the major causes of infertility. Polycystic Ovarian Syndrome commonly called PCOS condition is a very common endocrine condition in reproductive-aged women often leading to difficulty in conceiving. Women diagnosed with PCOS can experience irregular periods, abnormal hair growth, acne, and can have ovaries containing multiple small cysts. PCOS has a negative effect on fertility since such women are not able to ovulate or release an egg, each month due to an overproduction of estrogen. This subsequently leads to irregular periods and increased levels of hormones such as testosterone that can affect oocyte quality, inhibit ovulation, lead to insulin resistance, and increase the risk disorders such as gestational diabetes. 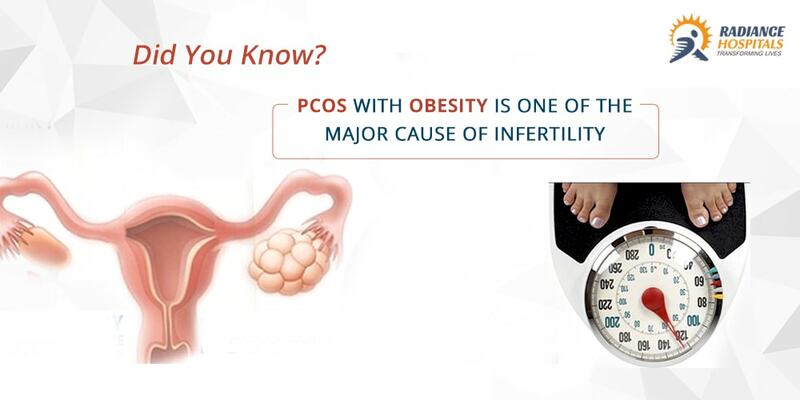 The relation between PCOS and obesity can be termed as complicated. Signs and symptoms of PCOS begin for some females soon after they start having periods. Women with PCOS produce too much insulin, or the insulin they produce does not function normally which leads to weight gain. Women diagnosed with PCOS may also find it difficult to lose weight. For some others substantial weight gain is followed by PCOS. However, it is certain that women suffering from obesity have a greater risk for PCOS and women with PCOS have a greater risk for obesity. Many PCOS women with obesity may also develop coronary artery disease and glucose abnormalities at a very young age. Bariatric surgery can be a significant procedure to fight against all these abnormalities and a solution for all such irregularities. According to a study, in the state of Gujarat itself 18% females and 14 % of Males are over-weight. If the prevailing PCOS condition is due to obesity, the chances of cure are almost close to 100% particularly young females with such condition. There are few types of surgeries and procedures for such condition, but your surgeon will likely have a recommendation as to which will be most effective for PCOS. The proven methods are Laparoscopic Sleeve Gastrectomy (LSG) and Endoscopic Sleeve Gastroplasty (ESG). The Laparoscopic Sleeve Gastrectomy (LSG) generates weight loss solely through gastric restriction (reduced stomach volume). In LSG approximately 2/3rd of the stomach is stapled off roughly the size and shape of a Banana or Sleeve. This operation does not involve any ‘rerouting’ or reconnecting of the intestines. Hence it is technically as simpler operation than the gastric bypass. Endoscopic Sleeve Gastroplasty (ESG) is one of the latest advancements in Medical Science. Endoscopic Bariatric Procedure does not require any hole or incision to put on any part of the body but a special Endoscopic instrument is inserted through an oral route to reach the stomach. Then the size of the stomach is reduced using stitches. On the same day after 4-6 hours of the procedure, a patient can go home. Moreover, as the procedure involves zero blood-loss, there is no need for blood transfusion and chances of infections are also almost nil. Diabetes is one of the most common medical conditions which affect more than 150 million people worldwide. 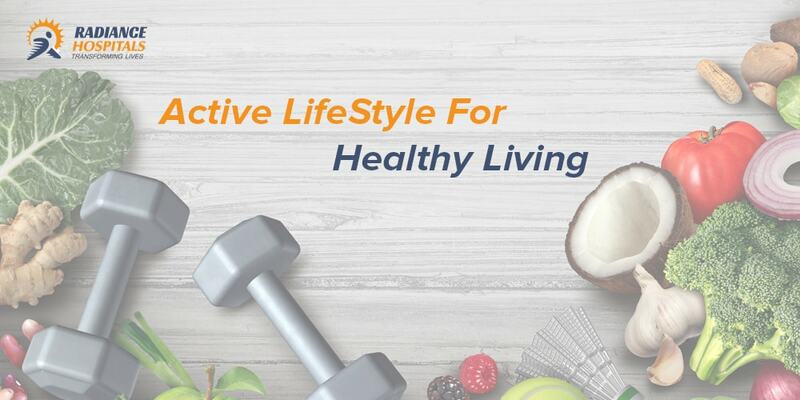 Owing to the dynamic lifestyles of people nowadays, at least 90% of the people have Diabetes type 2 which is related to Obesity, overweight, family history, insufficient physical activity or old age. Obesity is a medical condition that is related to diabetes and occurs when a person carries excess weight or body fat, so as affecting the person’s health. A medical expert would say a person with high Body Mass Index is Obese. Diabetes Type 1- it is believed to be an autoimmune condition. Diabetes Type 2- your body can’t use insulin efficiently. Generally, metformin is the medication prescribed for type 2 diabetes. It works by improving the sensitivity of your body tissues to insulin so that your body uses insulin more effectively. Although diabetes is traditionally viewed as a chronic, relentless disease in which delay of end-organ complications is the major treatment goal, bariatric surgery offers a novel endpoint: major improvement or even complete disease remission. For obesity, it is one of the most popular and safe methods. Evidence suggests that bariatric or metabolic surgery for obesity may lower death rates for severely obese patients, especially when coupled with healthy eating and lifestyle changes after surgery. Sleeve Gastrectomy: Reducing the size of the stomach through removal of a portion of the stomach. This approach resulted in reduced surgical morbidity and mortality compared with the traditional one-stage approach highly obese patients. Unexpectedly, patients achieved remarkable weight loss after the first stage and SG. Restricting food intake and decreasing the absorption of food in the stomach and intestines. A study shows that after 10 to 14 years, patients have maintained 60 % of excess body weight loss. A study of 500 patients showed that 96 % of physical problems were improved and resolved in some cases which mainly includes back pain, sleep apnea, high blood pressure, type 2 diabetes and depression. Bariatric surgery can help in prevention of diabetes and helps weight loss through gastric bypass in obese patients. Also, non-diabetic patients can decrease their likelihood of developing diabetes by 60 percent. One long-term study tracked 400 people with type 2 diabetes. Six years after bariatric surgery, 62% showed no signs of diabetes. They also had better blood pressure, cholesterol, and triglyceride levels. In a recent study, over 20,000 patients were examined. It revealed that 84% who underwent obesity surgery for diabetes experienced complete reversal of their type 2 diabetes. Rapid improvement in blood sugars and reduction or elimination of diabetic medications is often seen within the immediate period following bariatric surgery for diabetes type 2. Have you ever heard about the medical term called “Sleep Apnea”? If not, you should. Now, why you should know all about Sleep Apnea because there are certain signs that you might come across in your daily routine during the morning or a whole day and in the absence of the awareness about the disease, you may overlook the signs or symptoms which can become life-threatening if not attended and treated in time. So, let’s begin to learn something about the disease and throw lights on the symptoms, causes, precautions, treatment and care. The majority of the above symptoms suggest that you might have Sleep Apnea and you should seek the advice of your Doctor and rule out the disease as this will help you out to avoid the risk of heart problems and other associated complications. There are three types of Sleep Apnea classified following the symptoms and health condition of a person. Now, let’s bring more understanding to the common cause Obstructive sleep apnea. While you sleep, the muscles in the back of your throat relax and results in narrowing the airway you breathe in from. In this condition, you cannot get enough air and subsequently it lowers the level of oxygen in your blood. Your brain senses this inability to breathe and rouses you from sleep to reopen your airway. Generally, you don’t remember it at all during the night. However, the deprived sleep symptoms come out during the daytime. Along with a morning headache and irritability, there are incidences reported of road accidents where such person slept during driving. Now, after knowing all above, it is mandatory for you to know the risk factors which are responsible for the disease called Sleep Apnea. Apart from Nasal congestion, smoking, use of alcohol or sedatives, or family history, there is a common risk factor ‘excess of weight’ is becoming the lead risk factor nowadays. 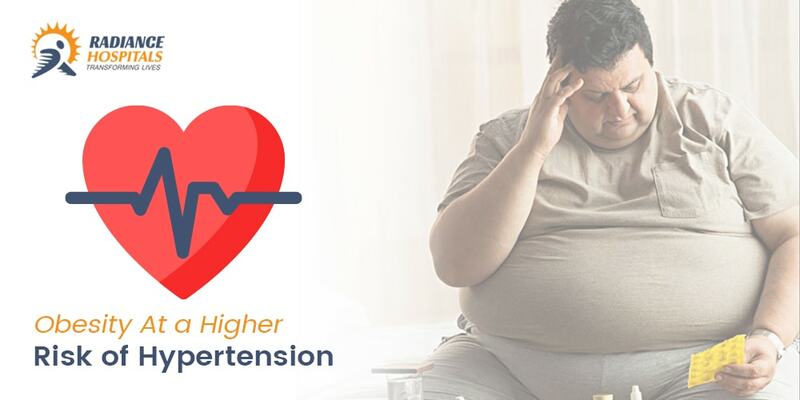 More than half of people with obstructive sleep apnea are either overweight or obese, which is defined as a body mass index (BMI) of 25-29.9 or 30.0 or above. Each unit increase in BMI is associated with a 14% increased risk of developing sleep apnea, and a 10% weight gain increases the odds of developing moderate or severe obstructive sleep apnea by six times. Compared to normal-weight adults, those who are obese have a sevenfold increased risk of developing obstructive sleep apnea. However, the impact of BMI on obstructive sleep apnea becomes less significant after age 60. BMI isn’t the sole marker of obesity that’s important. Men with a neck circumference above 17 inches (43 centimetres) and women with a neck circumference above 15 inches (38 centimetres) also have a significantly increased risk of developing obstructive sleep apnea. So going by the above information, if you know that you are at risk of sleep apnea, immediately consult your doctor. Depending upon the stage, condition and type of sleep apnea, your doctor may suggest lifestyle changes if it is mild or may recommend you the proper therapy or treatment if above mild or severe. Even in the worst cases, your doctor may suggest you to go for Surgery to remove enlarged tonsils or adenoids or weight-loss (Bariatric) Surgery also.